Board meetings are always exciting times. First, it’s a time when we do the work of the association; and second, it’s an opportunity for us to spend time together nurturing our friendships with each other. This meeting was different for me because it is the last meeting before the convention when my term will end. Where did the two years go? 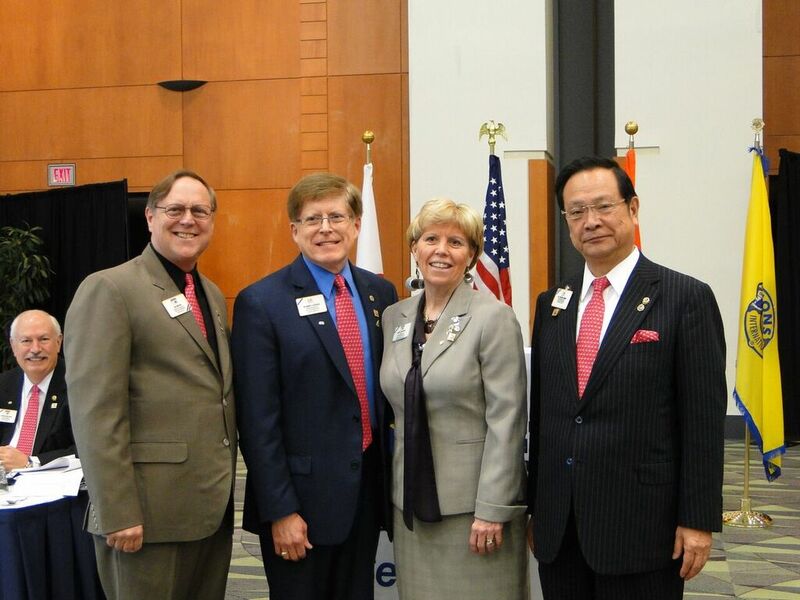 Fortunately, as I transition into the role of a Past International Director, there will always be other ways to serve the association and I plan to stay as actively involved as I can. 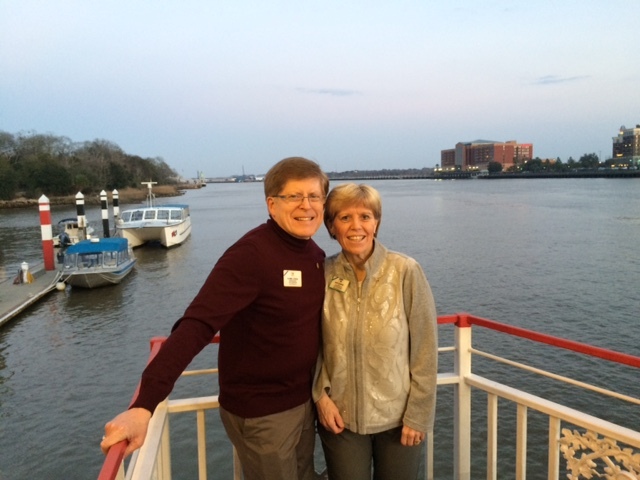 ID Robert and Lion Kathy on the ferry to Fort Jackson. 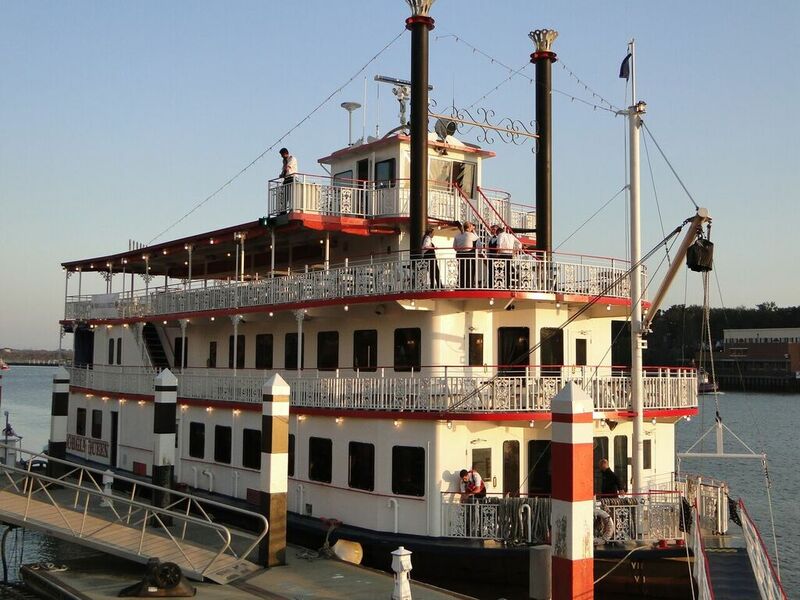 The ferry was a classic bit of Americana as we traveled to Fort Jackson. Savannah is a city on a river, so whenever we wanted to go into the city, we took a ferry across and walked on some streets that were paved early in the 19th Century. 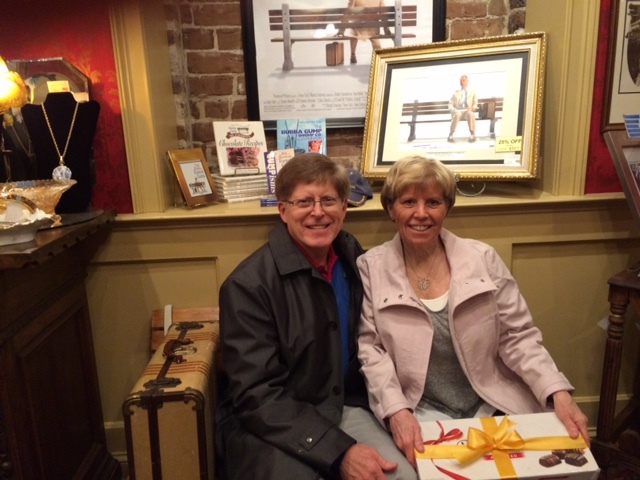 We took a walking tour and found a bench not unlike the famous bench used in Forrest Gump. The local committee under the leadership of Past International President Jim Ervin did a wonderful job in greeting us, gifting use with some local goodies, hosting us at a reception, and serving as guides. Hats off to the Lions of Georgia! The charm of the Georgian culture was evident. The table was a gift from the local committee to the presidential couple for their service as President and First Lady. 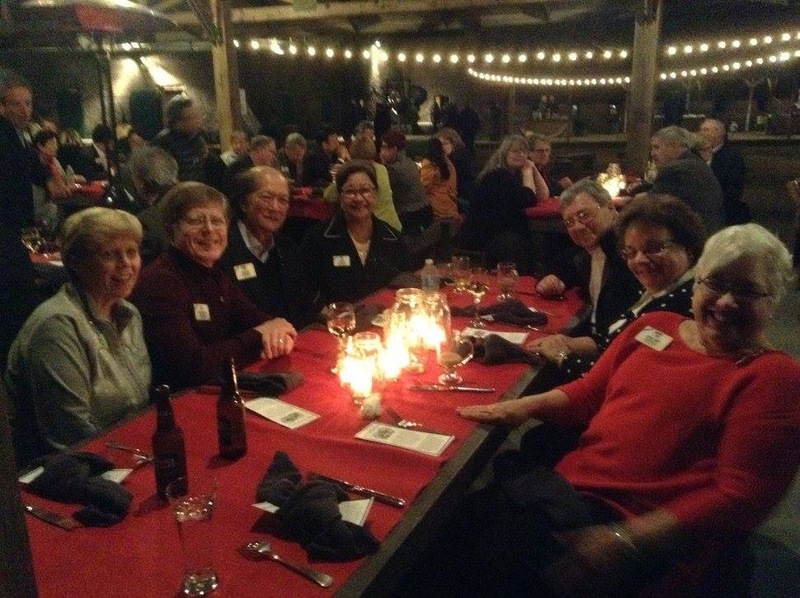 As a special event for the Board, the Local Committee hosted an evening at Fort Jackson. We were entertained by local musicians and we ate southern cuisine. What a fun way to celebrate with the local Georgia Lions! Littlefields, Chans, Farringtons, and Kembra Smith were hosted by the local Georgia Lions at the friendship supper. The board meeting began with formal protocol and reports. 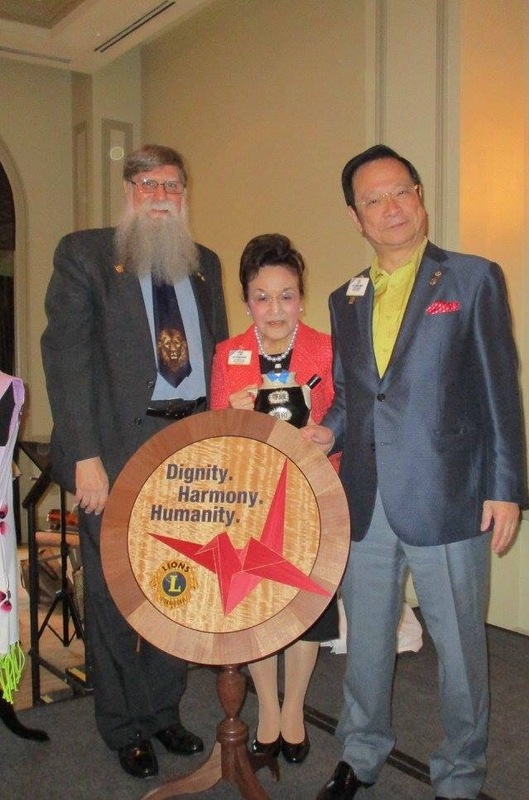 It was at this first meeting that Lion Kathy and I were recognized for our ongoing personal contributions to Lions Clubs International Foundation supporting the One Shot, One Life Measles Initiative. ID Robert receives his 6th diamond Progressive Melvin Jones Fellowship. 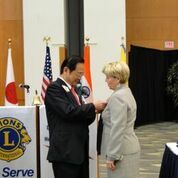 Lion Kathy receives her 1st diamond Progressive Melvin Jones Fellowship. This board meeting was significant for many reasons and the committees worked diligently. 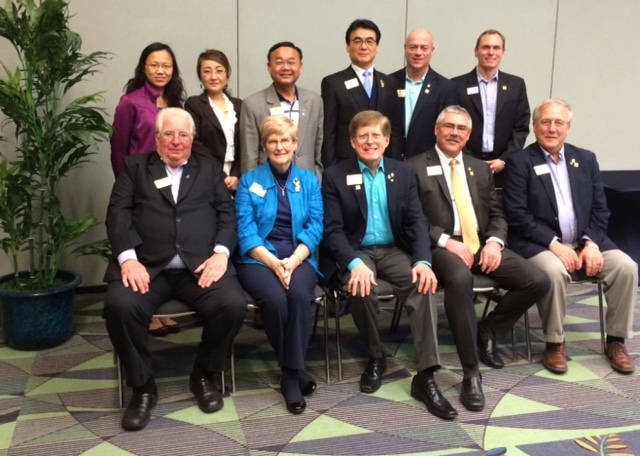 In the Public Relations Committee, we welcomed Past International President Barry Palmer who joined us as guest participant. Savannah PR Committee members, translators, and LCI liaisons (PIP Palmer front row far left). The second year directors and spouses had several opportunities to gather for a meal or scheduled activities. 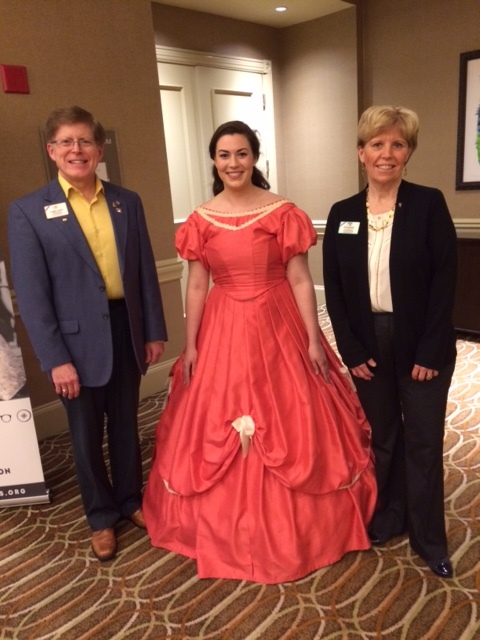 One of the highlights was visiting the birthplace of Juliette Gordon Low, the founder of the Girl Scouts of America. The “favor” (at left) provided was a favorite! 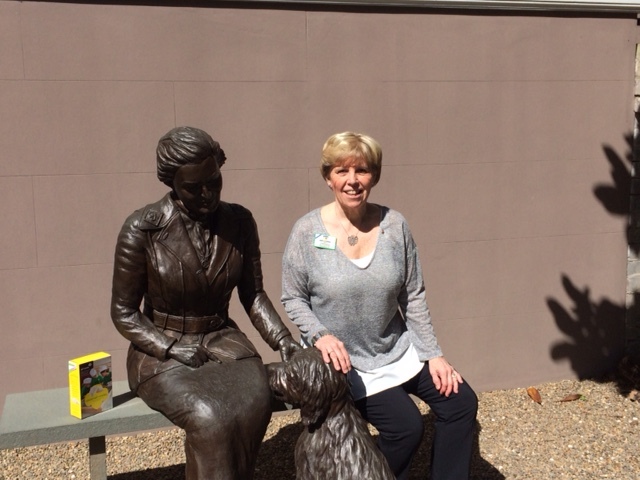 Lion Kathy at statue of Girl Scout founder. 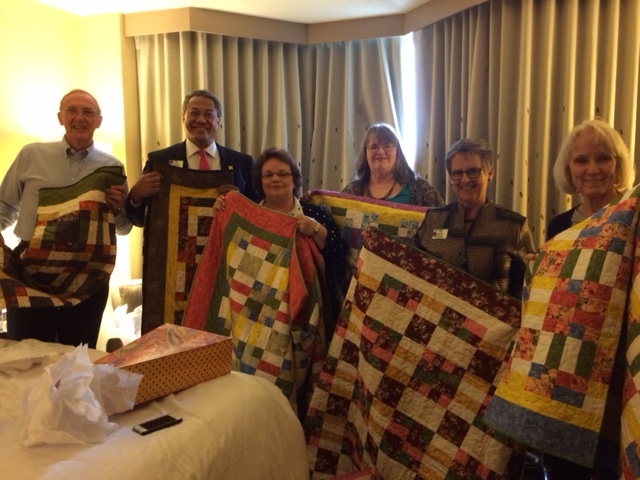 Sunny Shove, wife of ID Don, made beautiful quilts as a token of appreciation for the special friendship the 2nd Year American and New Zealand spouses had afforded her. Lion Sunny Shove is third from the right. As has been our practice, the Directors’ Chorus practiced and performed at the closing dinner. We sang Past International President Joe Preston’s latest song written for the Lions Clubs International Foundation, “Seasons of Love” from the musical Rent as a tribute to the on-going travels of the International Directors, and “Don’t Look Back” as a reminder of our exciting Centennial celebration next year. ID Robert (in center) leads the Directors’ Chorus at the closing dinner event. As we look ahead, the weekends will speed by until we leave for Fukuoka, Japan in June. 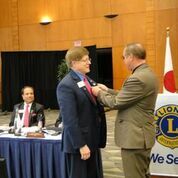 We continue to be humbled by our call to international service and for the support the Lions of Multiple District 5–and the world–have afforded to us.